Employment credit reports are normally only ordered on applicants in positions of financial trust or on top executives of a company. Accountants, bookkeepers, cashiers and others with access to a company's financial books and records might fall into this category. You must of course be consistent in that you must order these reports on all individuals in the same position. You may not discriminate by ordering an employment credit report on select individuals. These FCRA compliant reports do not result in a credit "inquiry" and do not adversely affect an applicant's credit history. Therefore, companies that have their own access to credit reporting agencies should not order credit reports on applicants themselves as these would not be compliant with the FCRA. 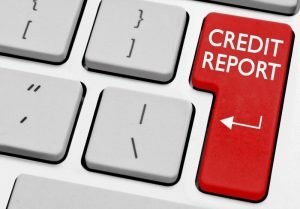 Several states have passed laws limiting credit reports for employment decisions with provisions that require a connection to actual job duties. Those states are: California, Colorado, Connecticut, Delaware, Hawaii, Illinois, Maryland, Nevada, Oregon, Vermont, and Washington . Employers can not see your credit score. The credit report that provides your credit score is only provided to those authorized to use your credit score in granting or extending credit, not for employment purposes.